They say that life is a beautiful lie and death a painful truth. They're right. No one has ever made me feel more alive than the guy who serves as a constant reminder that my clock is ticking. He is my forbidden, shiny apple. The striking fallacy to my blunt, raw, truth. He is also my sister's ex-boyfriend. I saw him first. I craved him first. I loved him first. Eleven years later, he waltzed into my life, demanding a second chance. 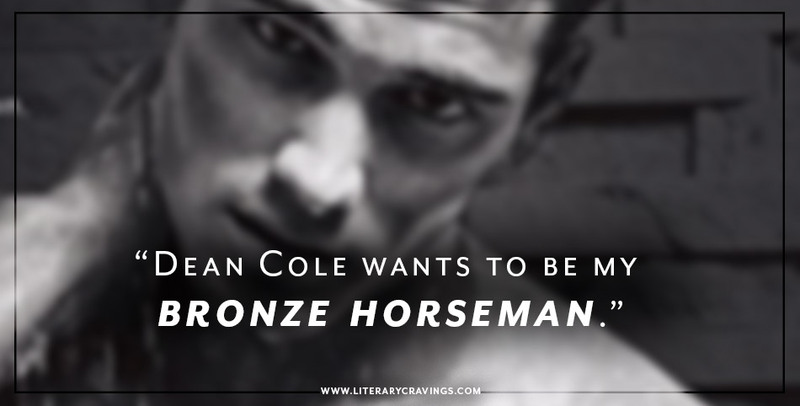 Dean Cole wants to be my bronze horseman. My white knight has finally arrived. Hopefully, he isn’t too late. They say the brightest stars burn out the fastest. They’re right. She sets my mind on fire. All smart mouth, snarky attitude and a huge heart. In a world where everything is dull, she shines like Sirius. Eleven years ago, fate tore us apart. This time, I dare it to try. Getting to her is a battlefield, but man, that’s why they call me Ruckus. Rosie LeBlanc is about to find out how hard I can fight. And conquering her will be the sweetest victory. So What Did I Think Of Ruckus by L. J. Shen? I loved how the emotions poured off the page in Ruckus by L. J. Shen. With all of the yearning, denial and passion that Dean and Rosie had for each other it was extreme easy for me to get into the story. There was so much depth from the beginning that it was easy to get swept up in it. Loved all the twist and turns the story took and the build up was done very nicely. All of the characters where interesting and complex. The conflicts where multi layered and strong with no easy fix which lead to them really having to work for it and in the end I was really rooting for their HEA. Overall I loved reading Ruckus by L. J. Shen it had so much emotion and passion with a romance that blazed and really swept me up and left me with such a satisfying ending. I’m really looking forward to reading the next story in the series. How Many Ways Can You Adore Me?